How Do They Affect Educational Outcomes? Based on the presentations and discussions from a national symposium on family-school links held at the Pennsylvania State University, this volume brings together psychologists, sociologists, educators, and policymakers studying the bidirectional effects between schools and families. 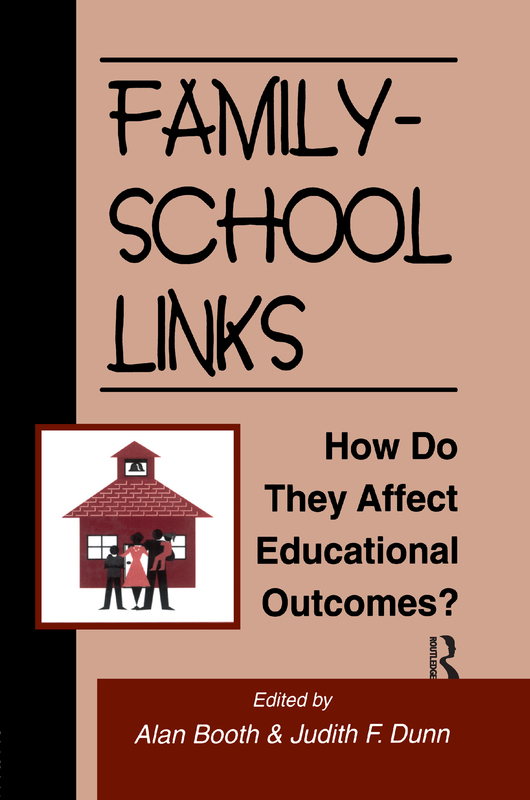 This topic -- the links between families and schools, and how these affect children's educational achievement -- encompasses a host of questions, each of key social and educational significance. * How far does parental involvement in schools affect children's experiences and achievement at school? * What explains the great differences between schools, families, and communities in the extent of such involvement? * Are these differences a matter of school practices, or do they reflect much broader social and cultural divisions? * What is the nature of the impact schools have on children and their families? * How can family-school-partnerships be fostered in a way that helps children? The chapter authors consider these questions and related issues, present different perspectives, highlight various aspects of the issues, and suggest widely differing answers. This volume's goal is to provide the reader with current information on what is known about family-school-community links, and to provoke new ways of thinking about these links and their implications for children's education and well-being. PART I: FAMILIES AND SCHOOLS: HOW CAN THEY WORK TOGETHER TO PROMOTE CHILDREN'S SCHOOL SUCCESS? PART II: HOW DO SCHOOL PROCESSES AFFECT CHILDREN AND THEIR FAMILIES? Inequality in Educational Achievement: Families Are the Source, But Are Schools a Prophylactic? PART III: HOW IS CHANGING FAMILY STRUCTURE AFFECTING SCHOOL OUTCOMES?